Lovingly cared for and exceptionally clean ranch in the Florissant area. 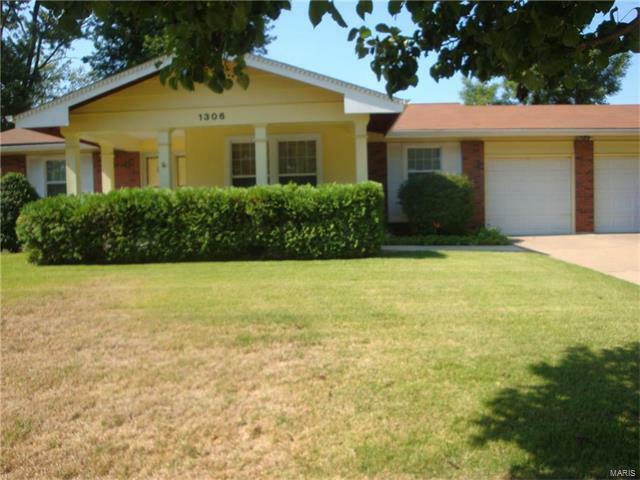 Three bedrooms, 2 full baths upstairs, 2 car attached garage, drywalled. Formal living room and dining room with an attractive neutral beige carpeting. Main floor family room, peg & plank wood floor, gas fireplace. 3 nice size bedrooms with neutral carpeting. Finished lower level rec/family room and a ½ bath, all to increase your living space. Separate laundry/utility room, witth workbench. Level fenced yard with covered patio and attractive landscaping. Appliances can stay with home. You won’t want to miss out on this home, call today.